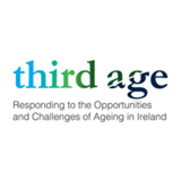 Third Age is a national voluntary organisation celebrating the third age in life when people may no longer be in paid employment, but can remain healthy, fulfilled and continue to contribute to society. The longer people are encouraged to remain in this life stage, the better for older people themselves, their families, communities and society as a whole. Third Age has a deserved reputation for innovation, and through a variety of national programmes demonstrates the value of older people remaining engaged and contributing in their own community for as long as possible. Third Age plays a role in the championing of older people in an interconnecting range of initiatives, including the challenge of negative perceptions, and the representation of older people at policy-making fora.